F. A. Flowers III and Ian Ground, editors. LUDWIG WITTGENSTEIN WAS born into a fabulously rich Viennese family. A blessing or a curse? This depends not only on your view of Wittgenstein, but also on your view of riches. He himself came to believe that so much unearned wealth could be spiritually crippling, so he went to considerable lengths to dispense with the lot. This turned out to be a characteristically forthright manœuvre. He went to the Realschule in Linz, along with Adolf Hitler who was there at the same time. After that came the Technische Hochschule at Charlottenburg in Berlin, and then in 1908 he went to Manchester to study engineering. He came to preoccupy himself with the design of the propeller, thereby becoming entangled in the question of the foundations of mathematics. So thence to Frege, from him to Bertrand Russell in Cambridge, and from there to the Hardanger Fjord in Norway and the drafting of what would ultimately become the Tractatus. This would be finished at the end of the Great War. 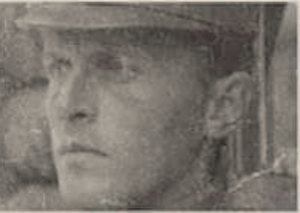 Wittgenstein had volunteered to serve in the Austrian army, because he thought he had a duty to enlist as an Austrian citizen. Regarded by his family as the least brilliant of the boys, it had been thought that he should therefore be scheduled to perform some useful task in life. 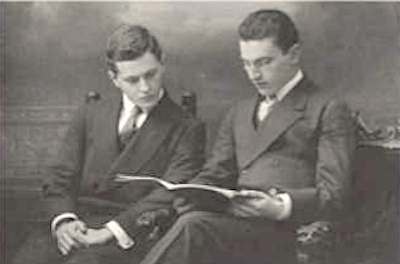 Three brothers committed suicide, and one, a pianist, had his arm blown off in combat, so played the piano with his left from that point on, commissioning works from distinguished composers such as Ravel in order to do so. And yet Russell told Wittgenstein’s sister (to her utter astonishment) that this young man was the one expected to make the next significant step in philosophy. 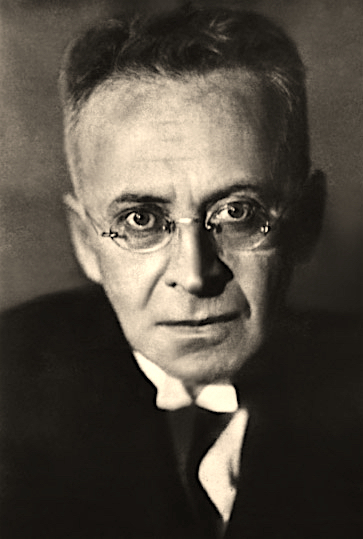 After the war, and with the completion of the Tractatus, he disposed of his immense inheritance, which he did not want contaminating his mind, and went off to become a schoolteacher in Trattenbach in Lower Austria, having decided that he had already solved all philosophy’s essential problems in his book. 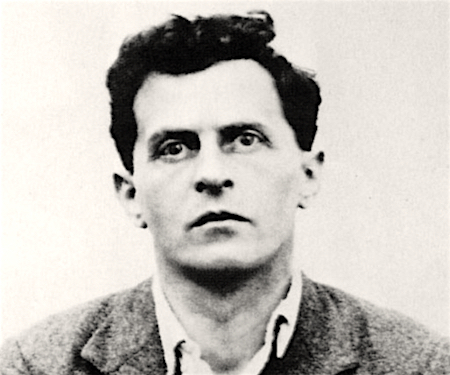 Things did not turn out well, however, since Wittgenstein was all his life enraged by anything he regarded as stupidity, even in schoolchildren, and he returned to Vienna, where he built a house for his sister Margarete. 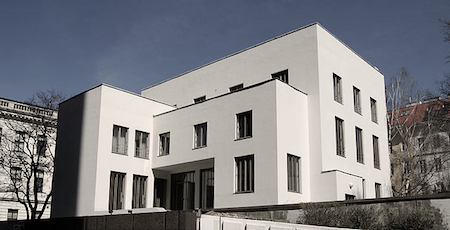 It is a monument to modernist rigour and exactitude, heavily indebted to the work and thought of Adolf Loos, whom he knew and admired, and who believed any form of ornamentation in architecture to be a crime. It can still be seen on Kundmangasse. The Wittgensteinhaus was subsequently to become the Bulgarian Cultural Institute. As long as communism lasted, the place was presumably a centre for melodramatic and largely bungled espionage. 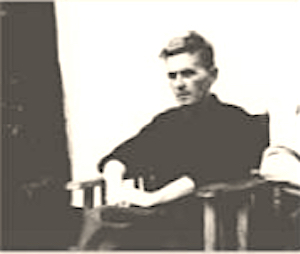 In 1929 Wittgenstein returned to Cambridge as a Fellow of Trinity College. By then he had already started to shift his attention from logic and the Bild theory, to ‘grammar’ as the expression of a ‘form of life’. AT THE TIME of the Tractatus Logico-Philosophicus Wittgenstein believed that the world (which is to say: ‘everything that is the case’) formulates itself in propositions. The logical form of any such proposition must share the structure of reality which it is expressing; it is isomorphic with the logical form inherent in the represented reality itself. At this point he believed that the grammar of logic was expressive, logically, of the structure of the reality it was articulating. So the formulation of the proposition constitutes an utterance of the structure of the reality being represented. Here the unthinkable is also the unsayable. If it cannot find lucid expression then it is not real thought at all, but mere nonsense. The picture (Bild) structured into the proposition permits a representation (Darstellung) of the underlying nature of things. Wittgenstein believes that all the most significant truths in life can only be shown, not said; they say themselves in their own showing. Some things however cannot be said; they can only be shown. That which can only be shown cannot ‘say itself’. Wittgenstein gives a curious example of this, later in the Philosophical Investigations: If I know that the height of Mont Blanc is 15,771 feet, then it is meaningless to say that I know it, but cannot tell you. This is evidently the kind of knowledge where knowing and saying are inseparable; two sides of one coin. But what if I know the sound a clarinet makes? That is not something that can be ‘said’. I can only take you to the clarinet while it is being played and show you. Many of the propositions towards the end of the Tractatus make it clear that Wittgenstein believes that all the most significant truths in life can only be shown, not said; they say themselves in their own showing. That which is sayable is a restricted sphere. Wittgenstein read a great many philosophical works — with considerable intensity — but he had no interest whatsoever in ‘the history of philosophy’. There was altogether too much academic baggage there, as far as he was concerned. Philosophy was happening now, with some urgency, or it was little more than some sort of university game, from which certain dubious characters made their living. Wittgenstein did not wish to be counted among their number, and often made his embarrassment all too clear whenever he was. A METAPHOR CAN lead you up a blind alley, as in this sentence. It can, like Morgan le Fay, so beguile and bewitch you with mists and imprecisions that your perceptions themselves become misted, your understanding flawed. Wittgenstein says this: ‘Philosophy is a battle against the bewitchment of our intelligence by means of language.’ Scepticism about the force of grammar, syntax and figures of speech is essential if the philosophical task is even to get properly started. Whereas, in the Tractatus, logic and the picture theory of representation sought to remedy confusions, in the posthumously published Philosophical Investigations language is confronted with the tangle of its own sinuosities, the promptings that metaphor and usage provide us with, before ‘thought’ can even begin. All equations detect and calculate an equivalence in nature. So much energy can be derived from so much matter (given the necessary means required in order to release it). So much force applied in a particular direction will make a specified body accelerate thus. According to Wittgenstein, only natural science can actually say anything. Any knowledge to be had beyond this, as we have just seen, can only be shown. It is not the business of philosophy to ‘derive truths’ from its materia; philosophy is an activity, a method, and its function is to clarify the way we make valid statements, the way we enact our propositions; the way we ensure that our representations have validity. The source of our confusion is often this: we are implicated in the formulae of our meanings, without having analysed how language, syntax and figures of speech prompt us into the very thoughts they are structuring, and without providing any platform for viewing the mechanism of this same meaning-construction. The problem is that we cannot climb outside of language, since our only ladder and platform for such a procedure would be linguistic. Having climbed outside we simply discover that we are still inside after all, since the fire escape remains attached to the skin of the building. After the isomorphic proposition and the Bild theory of representation of the Tractatus, Wittgenstein shifted his emphasis from logic to what he called grammar. It was grammar, he came to feel, which actually uttered those transcendental truths once referred to as metaphysics. Tomorrow never comes, so runs the old adage, and grammar confirms this fact. If tomorrow actually arrives then it must have translated itself into today. The only grammatical space where tomorrow might be activated is in the future perfect, and that is ipso facto a realm of illative speculation, since it is the nearest grammar ever comes to utopia. In philosophy we deal with description not explanation. Here Wittgenstein was heir to the tradition of Ernst Mach and Descriptionism, despite his insistence that reading Mach made him feel physically ill. He emphasized the importance of looking rather than assuming; the necessity to see before theorizing the sight. The question is this: how do we mean, and how do we fail to mean? All his life Wittgenstein was obsessed by the question of valid representation (or Darstellung), but the focus of that obsession shifted. He came to see how forms of life do not on the whole express themselves in logic’s propositions, or logical notation, but instead in what he came to mean by his capacious notion of grammar. Distrust of grammar, he claims, is the beginning of philosophy. 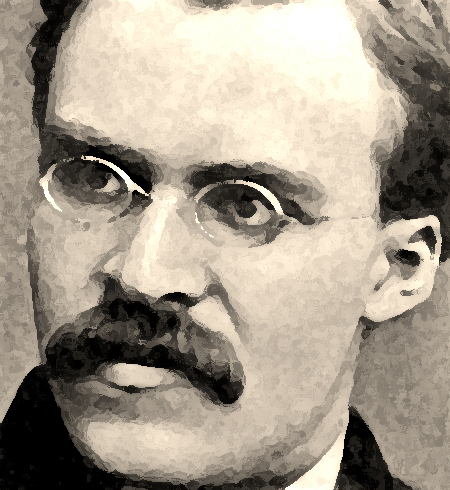 Nietzsche too was aware of the perils of grammar, its unseen epistemological prompting; he seems to have reckoned that the noun commanding its verb in all our sentences leads us to suppose there must be a God, predicating his creation through the modal swerve of His grammatical omnipotence. And then there is the way grammar takes riotous control in the Alice books: ‘“I see nobody on the road,” said Alice. “I only wish I had such eyes,” the King remarked in a fretful tone. “To be able to see Nobody! And at that distance too! Why, it’s as much as I can do to see real people, by this light!”’ Nonsense this might be, but it is undoubtedly nonsense that has a logical method in it, and it also takes us back to Homer, where Odysseus informs the Cyclops that his name is Outis, which is to say no one. So when his neighbours come to ask what the cause of all the trouble is, and he replies Outis, they tell him to pipe down in that case and let them all get a little sleep. The literalizing of the metaphorical, the enfleshment of the linguistic abstraction, the foregrounding of the signifier over the signified – all these alert us to the potency of the figurative in shaping thought. And it is this same exercise that Wittgenstein engages in when he sets about puzzling through the meaning of Augustine’s problems with the subject of time in the Confessions. He analyses how Augustine’s bemusement regarding the nature of time arises out of the unexamined metaphor of time as a river; this brings with it all the implications, some of them seemingly contradictory, that proceed to befuddle his thought. He has not understood the directing force of his own controlling metaphor, so Wittgenstein sets about understanding it for him. And such clarification, such demystification, is the task of philosophy, whether in logic, in grammar, or in both. Wittgenstein established for himself that all doubts entailed the employment of an intellectual machinery that needed to have some certainty embedded in it. THE NOTION THAT a man in a cell knowing he is to be executed at dawn would decide that his only certainty in life is the fact that he is thinking, and knows himself to be thinking, might look, on examination, a trifle luxurious. Descartes lying abed until noon could well have arrived at such a conclusion, others however might not. For those others, in these circumstances, other certainties could seem equally pressing. Wittgenstein established for himself that all doubts entailed the employment of an intellectual machinery that needed to have some certainty embedded in it. Establishing a doubt with any confidence always involves the employment of some form of certainty, and to pretend otherwise amounts to a form of philosophical dishonesty. 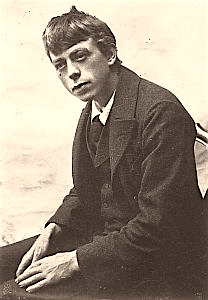 In the 1930s the writer Robert Walser was in a sanatorium in Switzerland. People would sometimes come to see him. One such visitor asked him about his writing. ‘I am not here to write,’ he said. ‘I am here to be mad.’ That statement surely indicates a remarkable clarity of mind in one diagnosed as a paranoid schizophrenic – the term was apparently invented to describe his condition. At the same moment the Ballets Russes star Nijinsky was also housed in an asylum, and he would patiently explain that he had once been a notable dancer, but now he was a horse. That misconception is not ‘a mistake’, in Wittgenstein’s formulation, so much as an ontological confusion. Certainty here constitutes a kind of blindness to your actual condition, though it is a curiosity that if I had asked about the condition in later life of Nijinsky in the 1980s, the likelihood is that my interlocutor would have started talking about a horse; that would have been the Canadian thoroughbred who’d had the dancer’s name bestowed upon him. A proper name is usually thought to be the final capstan on epistemology’s quay, a guarantor of identity. There we are meant to encounter an irrefutable quidditas. Yet here we have (1) Nijinsky the man and (2) Nijinsky the horse. And for a while (1) was convinced he was (2). What certainty is to be had in names and identity here, we might ask? Whose certainty is to be certified? We might remember too that when Gulliver returns from the Land of the Houyhnhnms he is so ashamed of being a Yahoo (albeit a gentle one) that he loathes the company of his wife and child in the house, and prefers whenever possible to spend his time in the stable, where the smell of horses (and the groom) reminds him of the Houyhnhnms. He though cannot, like Nijinsky, tell himself he is a horse. He only wishes he could. Gulliver suffers not from any ontological confusion but from an alienating confusion of the affections. He has lived for so long in the oxygen tent of lofty Houyhnmhnm reasoning and now he must return to the contaminated air of eighteenth-century England. It is possible he has confused himself by an over-indulgence in unhelpful rationalist certainties. The unrelenting reasoning of the Houyhnhnms has made him forget what Keats called ‘the holiness of the heart’s affections’. He has become intellectually and emotionally displaced from his own species. This can be read as a satire on Enlightenment presumption, or it can be viewed as an epiphenomenon of Swift’s loathing for so many of his own wretched kind. Either way, certainty is not simply a matter of making mistakes. Wittgenstein was very clear about this and he detested the way J. G. Frazer in The Golden Bough treated mythology as though it were an early, bungled attempt at science; primitive culture getting previous with itself before it had the necessary intellectual equipment to formulate an array of appropriate equations. His annotations on The Golden Bough show his rising irritation. This is too big to be a mistake, he says. What we are observing is a form of life, one which includes magic. And what magic presents us with is a wish injected into a representation. MANY OF THE ENTRIES in this splendid two-volume compendium published by Bloomsbury relate to Vienna. The opening chapter is from Toulmin and Janik’s superb Wittgenstein’s Vienna, and it describes the city in its pre-war days, the place Karl Kraus once called a laboratory for world destruction. This was the city of Klimt and Schiele, of Mach and Bolzmann, of Adolf Loos, whose article ‘Ornamentation and Crime’ appeared in 1908 in the Frankfurter Zeitung. In the city of the Ringstrasse this Viennese architect announced that ornamentation was crime; that style in architecture must be indistinguishable from function. ‘Functionalism’, as an architectural doctrine, dates back to Loos, and when Wittgenstein turned his mind to architecture, he employed Loos’s principles in doing so. What Wittgenstein did, in building the house for his sister, was precisely what he had done in the Tractatus: strip the particular activity of everything inessential, try to express the fundaments of the activity by unrelenting logic. 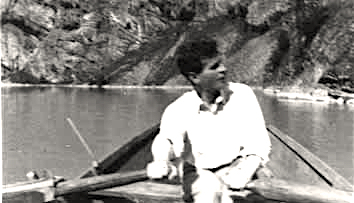 Wittgenstein’s original wish had been to study with Bolzmann in Vienna, but the latter had committed suicide in 1906. Wittgenstein insists that style is a spiritual achievement, that the pellucidity of expression we call style can be distinguished from mere fashion only by the full engagement of the spirit. Wittgenstein came from the Vienna of Adolf Loos and Karl Kraus. The architect and the satirist both had something in common: the conviction that style was the expression of morality, not a mere confection that might be assembled above it. Style was the ultimate expression of identity. A confused or deceitful style meant a confused or deceitful person. Wittgenstein indicates several times in Culture and Value that good style is integral to good philosophising; he appears to be announcing how style, when well-fashioned, facilitates and exhibits thought. But he says more than that: he insists that style is a spiritual achievement, that the pellucidity of expression we call style can be distinguished from mere fashion only by the full engagement of the spirit. In writing, style is the economic alignment of linguistic resource and authorial intention. It is technical virtuosity allied to acceleration of spirit. The stylist in written form needs to be alert to language; its resonance, density and promise. And style (in its variegated protocols and requirements) precedes the author. It is then a two-way transaction, between the language and the individual, the individual and the intellectual matrix in which he is situated; it is a Janus-faced accomplishment, a negotiation between tradition and the individual talent. 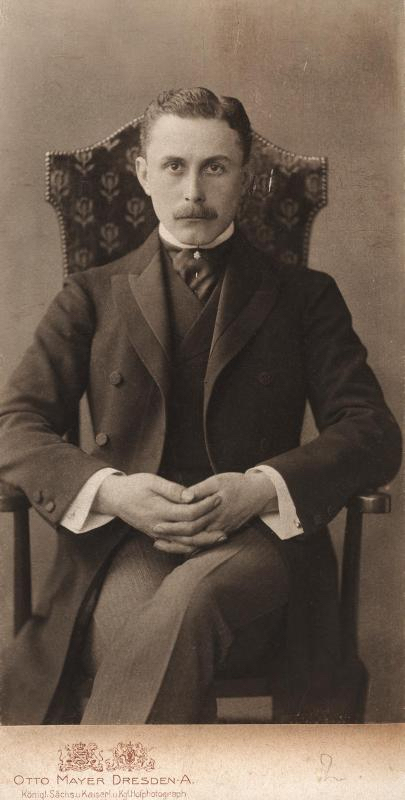 To become an accomplished stylist is most certainly not to behave unilaterally towards your linguistic environment; that might mark you out as a Dadaist, a Tristan Tzara, assaulting the language in protest at its lethal instrumentalism in coordinating the Great War. It is instead to take the full force of the historical language as it presents itself synchronically and diachronically, and learn to find your individual way inside and through it. Every stylist, whatever else he is, must be a minotaur in the linguistic labyrinth into which he has been inserted; that Dasein of which Heidegger speaks. The achievement of style is the lucid and effective insertion of one’s individual ability into the world of linguistic possibility. Style is not an egotistical imposition on language, but rather its lucid and efficient habitation. It is a way of grasping how language and usage, the dictionary and the street hawker, express between them a ‘form of life’ that must be mentally inhabited if it is to be linguistically exploited. The achievement of style is the lucid and effective insertion of one’s individual ability into the world of linguistic possibility. 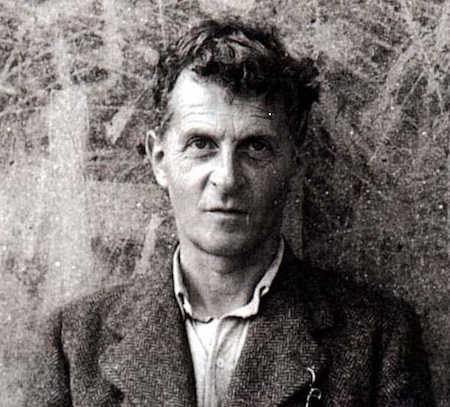 Wittgenstein’s own style always tended towards the atomistic and fragmented; he was sceptical regarding the techniques employed to solder together large discursive wholes. His forebears here include Lichtenberg, Spinoza and Nietzsche. WE CAN COME TO see certain historic shifts in our thought with subsequent clarity. We now understand how the antiquarian view gave way to the archaeological one, or how creation stopped being dated scripturally and was instead re-inscribed according to Lyell’s principles of geology and stratigraphy. We observe how the story of humankind ceased to be post-Adamic and post-Edenic, and translated itself instead into a study that was palæontological and fossil-based. This required a much greater antiquity for our human origins. We finally abandoned the notion of special creation and accepted Darwin’s mutation and evolution of species, in the mighty and variegated struggle for survival. ‘There is special providence in the fall of a sparrow,’ says Hamlet. Maybe so, but that providential eye appears to have blinked pretty massively during the great extinctions. Were Wittgenstein’s work ever to be universally accepted, it might effect an equivalent shift in modes of thought to some of those mentioned above. We would understand how our forms of life always generate metaphoric systematicities, inside which we live. The language shapes itself around and through our world of activity and reflection. Language and its morphologies are always both social and teleological. There can be no private language: language always enacts and expresses our interaction with nature and with one another. And the notion of a philosopher as someone with a specialised paraphernalia of thought who can thereby arrive at elevated metaphysical termini closed off to the rest of us, is simply risible. The notion of a philosopher as someone with a specialised paraphernalia of thought…is simply risible. One way to discuss this is to see Wittgenstein as a philosophical expression of that shift in awareness and analysis commonly known as ‘the linguistic turn’. But here we must tread with care. The Tractatus was in effect an attempt to escape (or at least bypass) the linguistic turn; to find a mode of expression not entangled in the densities of language, but capable of uttering an essential structure of reality detachable from the workings of any specific language. It is in the work subsequent to the Tractatus that Wittgenstein explores the significance of the linguistic turn from the inside, exploring the way language structures our thought, and expresses our form of life. DAVID BOHM ARGUED that the reality of elementary particles might be better conveyed by verbs than by nouns; that their nature was more verbal than nominal. It would make more sense to say ‘to electron’ than to talk about ‘an electron’. ‘The meaning of a word,’ Wittgenstein tells us, ‘is its use in the language.’ In the Preface to his great Dictionary of 1755, Samuel Johnson came (ruefully) to the same conclusion. Usage ultimately dictates meaning, however much the lexicographer might shake his head, bewigged or not. It is no use etymologising, for if a word has shifted its ground, then the ground on which it stands is thereby redefined. The word sely in Chaucer means pure and blameless; it subsequently becomes silly. The word internecine originally meant mutually harmful; it now means mutually destructive, by an apparent fluke. Usage always takes command. 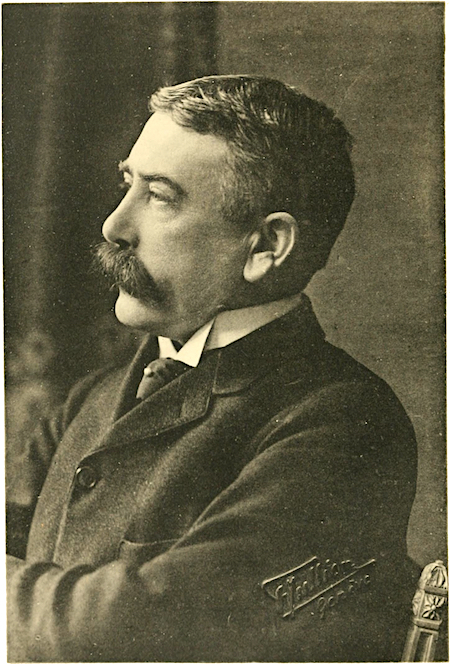 In the structuralist linguistics of De Saussure, the diachronic axis tells us how the morphemic units arrived, and acquired their current morphology and significance. But it is the synchronic system at any moment that will show us how each word actually functions. Dandelion, daisy, primrose, cowslip – all these words have fascinating etymologies: teeth of the lion, the day’s eye, the first rose, and cow slime. But as long as I can point to the individual plants and use these words competently in my ostensive display, then I am linguistically competent. The etymologies (those diachronic dimensions) are not required for competent linguistic performance in the synchronic moment of utterance. Various essays in these two volumes remind us how much of his early life Wittgenstein spent looking at and using engineering diagrams. There is often something diagrammatic about Wittgenstein’s thought (as John Berger has pointed out, there is also something diagrammatic about Cubism). Various essays in these two volumes remind us how much of his early life Wittgenstein spent looking at and using engineering diagrams. At the origins of language and writing we find pictography, and pictography finds its modern descendent in the diagram. 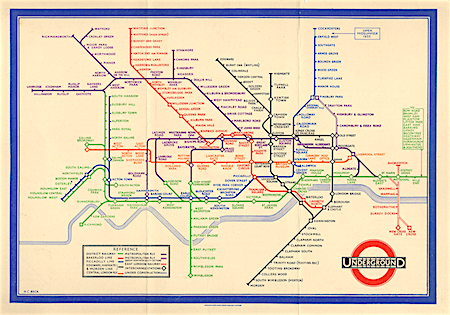 The diagram achieved one of its most splendid modern incarnations in the 1931 London Underground Map of Harry Beck, still in use today. We see there what diagrams are for: to analyse a system into its inter-related functions, and then proceed to portray those functions with ruthless simplification. That in one sense is what Wittgenstein was attempting with the atomic propositions in the Tractatus. But grammar contains its own logic, however arbitrary some of its rules might be. Even the grammatical rule that distinguishes between mass (or quantity) nouns and counting nouns also enunciates a truth: I cannot give you a sugar, because it is a quantity not a particle. I can give you a grain of sugar, because grains can be counted out one by one. I cannot give you a little human, but I can give you a little human being. Grammar will usually be found to be functioning according to its own discernible logic, but it is not self-foundational (any more, Wittgenstein believed, than philosophy could ever be), and it can often be seen to operate arbitrarily. Why is it that if I talk of more than one newspaper empire I must say media, but if I meet more than one spiritual channeller at a séance, I must speak of mediums? Either way, we are witnessing the expression of what Wittgenstein called a form of life. Grammar in this wide sense is a crucial enunciation of the form of life the speakers inhabit. The notion that experience, in travelling through the sensorium of one who happens to be a philosopher, translates itself into wisdom, where the common man can only expect at best common sense – this notion was repellent to Wittgenstein. He also found absurd the thought that arriving at philosophical truth could be viewed as a form of specialism – like an optometrist arriving at conclusions about eyes. And his lifelong target became that ghost of rationality testing out its presuppositions in the Cartesian mental schema. 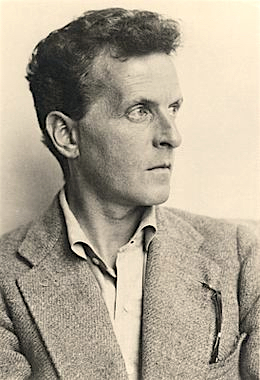 Philosophic thought for Wittgenstein is…a technique for clarifying the confusions which language is easily able to bring about through its own operations. Clarify the language and the problem disappears. Philosophic thought for Wittgenstein is not an assembly of perceptions and opinions. Nor is it an array of reflective ‘conclusions’. It is instead a technique for clarifying the confusions which language is easily able to bring about through its own operations. The problem will be solved when it is realised that it was created in the first place by a confusion of thought inhabiting a confusion of language. Clarify the language, unmangle the mangled thought, and the problem promptly disappears. It is in this sense that he came increasingly to believe that all genuine philosophy is a form of Sprachkritik, or a critique of language and its usage. LYING BEHIND WITTGENSTEIN’S notion of the fact, however mystical some of his early expressions might appear, is that world of factuality established by post-Galilean experimental science. In the face of traditional authority, however elevated, Galileo (like Francis Bacon) says, prove it. Aristotle claimed that a heavier body falls to earth faster than a lighter one. All right then, here are two planks. Let’s send a heavier ball down one and a lighter down the other. Conclusion? Aristotle was wrong. Nullius in verba was the motto of the Royal Society. Don’t take anyone’s word for it. Just because that has been the tradition does not make it true. Now, the world of science borders on the world of mythology. It is astonishing sometimes how superstitions prevail even at the edges of science. It took a long time before everyone agreed that swallows do not hibernate at the bottom of ponds during the winter. Or that smeared garlic will not disable any magnet; that its needle will not cease to quiver towards true north in its presence. Joseph Priestley was one of the most impressive scientists of his day, but he would not relinquish the notion of phlogiston, an essence of fieriness that never in fact existed. He also believed at the time of the French Revolution that Jesus would return to establish his Kingdom on earth within thirty years. Which of the two beliefs appears the more unreasonable might now be a moot point. The old usage continues, in tributaries here and there. We have this in Jane Austen’s Emma: ‘Gracious in fact if not in word.’ And here in the Prologue to Wilkie Collins’ The Moonstone: ‘ …that any thief detected in the fact, be he whom he might, should be hung.’ And we have the legalistic survival ‘accessory after the fact’. But the world of fact in the philosophy of positivism or scientism soon starts to bulldoze its way towards a new metaphysic and a comprehensive epistemology. It then took A. N. Whitehead in the sciences, and Georges Braque in the arts, to insist that there is no such thing (and never had been any such thing) as a solitary fact. To think in a way that imagines there ever could be constitutes a grave distortion of the way we must construct any world of meaning. A fact only gains its factuality by virtue of its situation in a domain of agreed perception and proof. 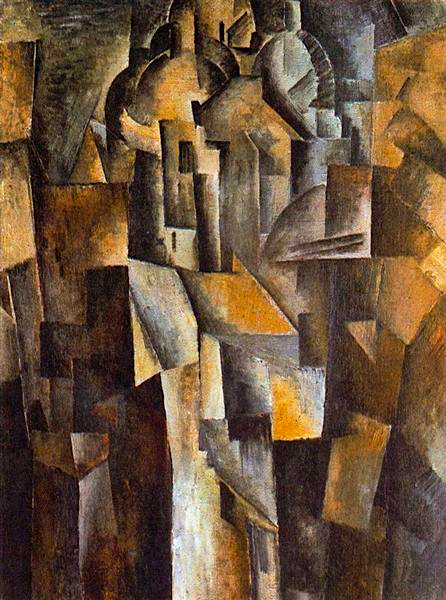 Or as Braque put it in his Notebooks: ‘There are no things; only relations between things.’ The artistic proof of this statement is Cubism. Facts confirm ‘forms of life’, by exhibiting their structures, in the same way that Harry Beck’s Underground Map tells us a great deal about the nature of communication in the English metropolis. THE WORLD OF pure logic subsists on tautologies. It is in one sense a world of perfectly symmetrical vacuity, a world which the Tractatus sought to enunciate. Once synthetic a priori statements enter the field, information has started arriving from the natural world. With synthetic a posteriori statements we start to be bombarded with so many multifarious phenomena that we need what the Descriptionists called an economy of thought in order to sort through them. In their view, this cognitive economy was called science. We economise thought into propositions deserving assent in order to resist our own intellectual inundation by the phenomenal whirligig. We work out and encode what sayings have meaning, and are verifiable, so as to situate ourselves with exactitude inside the world of nature. The great difference between Wittgenstein and those who thought they were his followers (like the members of the Wiener Kreis) is that they thought science could say everything worth saying, with logic’s assistance. Wittgenstein thought the most important things still remained unsaid. And could never be said, though some could (for a time, anyway) be shown. Later in life he abandoned the distinction between saying and showing; he came to inhabit language entirely, the way an archaeologist inhabits ruins, searching for the logic in the fragments. THE FIRST SENTENCE of the Blue Book is ‘What is the meaning of a word?’ The answer comes a few pages later: the life of a sign is its use. Or as Wittgenstein says elsewhere, the meaning of a word is its use in the language. There can be no meaning separate from the system of signs in which the word is employed; in this he appears to be entirely in agreement with the work of De Saussure, to whom he never alludes, and whose work he probably never encountered. There is no occult realm of correspondences in which the sign has meaning bestowed upon it by a mental potency. We constantly talk as though there is, but this is, Wittgenstein reckons, a mistake. It is the system of signs itself that assigns meaning; it is only in the system of signs that a word acquires and maintains (or changes) its use, which is to say its meaning. Is there no meaning then, which does not travel through this conduit of language? Some can think musically or mathematically, but even these apparently non-linguistic systems of representation must still express some aspect of Wittgenstein’s Lebensform or ‘form of life’. They can never be entirely unrelated to language, for homo sapiens sapiens at this late stage in the game can never become non-linguistic. Wittgenstein’s early training, as we have seen, was in engineering, and he had become accustomed to staring hard at technical drawings. He is much less discursive than most other philosophers. He is looking for the atomistic elements that make up the general picture before us, and his thinking is frequently focused, though not necessarily spatial. But it strives to be diagrammatic. What is it that a diagram does? It accepts the formality of its representational identity, and never pretends that it can escape it, so it simplifies and visualizes functions into ideogrammatic images. It formulates propositions which seek to be isomorphic with that situation which they represent. All Wittgenstein’s hermeneutic activities pointed him towards the nomothetic, which is to say, the detection and articulation of laws. All Wittgenstein’s hermeneutic activities pointed him towards the nomothetic, which is to say, the detection and articulation of laws. He wants to know how we can know; by what cognitive procedures and heuristic protocols we come by our knowledge. He concludes that it is not by the construction of an inner language; nor is it by contemplation of a bodiless and ethereal ‘I’. That mythic ‘I’ which is the foundational principle of Cartesian philosophy is one of his most recurrent targets, for that ‘I’ labours under the illusion that it might ultimately be separable from language. William James in Principles of Psychology points out that the peril of any supposed process of apperception might be to imagine that if one turns up the gas speedily enough, one might get a better glimpse of the darkness. When we bring observation to bear upon the subatomic world, we change that which we would observe by the very act of looking, by our energetic appraisal itself, and when we think we are gazing into the self, it is inevitably the self that is doing the gazing, even as it objectifies that gaze into a self the self might have gazed into. Here we do indeed inhabit the hall of mirrors of thought. We might need an engineer to point out to us how it came to be constructed. THE ONLY A PRIORI in Wittgenstein’s philosophy by the end is this: the existence of the Lebensformen. Inside these we live, and through these we express ourselves. Descartes’ notion of the spectral reason locked up in the individual identity is a misrepresentation of who and how we are. One of Francis Bacon’s popes shrieking silently inside the ghostly gridiron of his baldachino: that might well be the Cartesian ego translated back to its ontological solitude. Distrust it, says Wittgenstein, for it is a philosophical fantasy. We might say: one day one solipsist’s territory was invaded by another solipsist. But it ended well, since neither of them noticed. Wittgenstein’s fascination with religious forms baffled many of the positivists who imagined he was their ally. Wittgenstein’s fascination with religious forms baffled many of the positivists who imagined he was their ally. For such ceremonious creatures as ourselves, he seems to say, blessed with speech and custom as we are, a sacrifice might well be necessitated, as the only means of centering our lives, not to mention our deaths. We must not, however, think of ourselves as being defective angels with most of our more divine faculties tuned out. The Fall might make us all apprentices in sensibility and intellection, but it is an ongoing Fall, not an ontological priority. No one has ever put more definitive quotation marks around the notion ‘I’ than Wittgenstein: they are both emboldened and italicized. One feels that – had typographic convention permitted – they would have been capitalized too. Basil Fawlty, attempting to grasp a German guest’s complaint, asks him to speak more slowly. ‘Ich’ begins the guest. ‘We’ll come back to that,’ says Basil. And that seems to have been pretty much Wittgenstein’s line too. We keep coming back to that ‘I’: what precisely is it? Can we ever really fit inside such a condensed locution, such an elliptical glyph? WITTGENSTEIN DOES NOT APPEAR to have spent much time brooding on the actual origins of language. The notion that there was a single language that was the fons et origo of our linguistic history is known as monogenesis. This would have had to have been that Lingua adamica of which Böhme spoke. The favoured language in this originary myth has often been Hebrew, since — if we believe the inherited texts — that was the tongue spoken by Adam and Eve in Eden, in the linguistic moment of genesis, the language that must be closest to creation. The alternative to this theory was polygenesis: languages occurred all over the place, developing side by side; they developed. Languages emerged as the expression of, and the negotiation with, our multifarious forms of life. They are utterances, in linguistic form, of Lebensformen. They are part of our vast collective self-engineering. One year after the publication of the Tractatus in 1922, Le Corbusier published Vers Une Architecture. The similarities are startling. Le Corbusier contrasts the architect, obsessing over his historical styles, with the engineer: the latter has to find an economy of form and function. That is why Le Corbusier is more impressed with the design of ocean liners, grain elevators, motor cars and aeroplanes than he is with so many modern buildings: engineers are engineering answers right now to current problems; these solutions do not wear fancy dress, as historicist architecture (like that on the Ringstrasse) so often does. Here Le Corbusier is looking at the making of buildings the way an engineer looks at the problems of speed or storage, and in the Tractatus Wittgenstein was looking at the problems of philosophy the way an engineer looks at the problem of locomotion. Both of them wanted to get back to the fundamentals of their trade. Later on, for Wittgenstein, grammar comes to mean the way in which we use language, and sometimes the way in which language uses us. Unexamined metaphors control our thought through a grammatical insistence we have grown all-too-casually accustomed to. His distinction between deep and surface grammar (Tiefengrammatik and Oberflächengrammatik) suggests that grammar in its full sense is the spectral sublime of language, the skeleton key of semiology. Grammar expresses the essence of meaning, as Wittgenstein put it. WITTGENSTEIN DID TO PHILOSOPHY what the Great War did to the Austro-Hungarian Empire: he shook it to its foundations, refusing to recognise any previous boundaries or frontiers. So for that matter, the Wittgensteinhaus is to the historicist style of the Viennese Ringstrasse what Wittgenstein’s philosophy was to so much that had immediately preceded it: a demolition of all unwanted ornamentation, a return to fundamentals, the same strategy in thought as an Adolf Loos building in architecture. 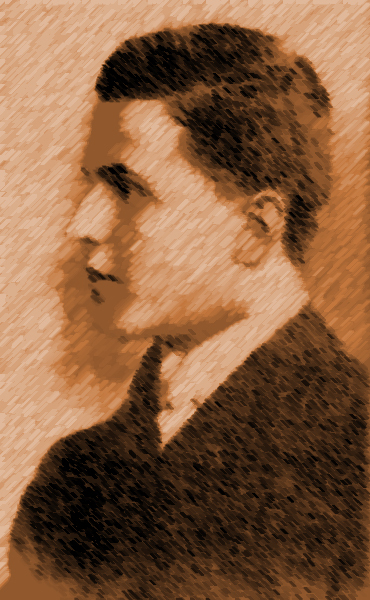 As we already noted, in one sense the Tractatus is a desperate attempt to avoid the implications of the linguistic turn, in the density of its linguistic complications, and Philosophical Investigations is in contrast an acceptance of its consequences, still the same obsession remains: the attempt to find the form of valid representations. What can we actually say that isn’t flummery, and what mode do we need to employ in which to say it? Some of Wittgenstein’s remarks never leave you. His observation that, if a lion could speak, we would not understand a word he said, is one. So different is the lion’s form of life that even were we to share a lexis and a syntax, we would share nothing it would be possible to say to one another. There would be nothing intelligible between us. He also insisted that the best image of the human soul was the human face. One can imagine how the sadness in the expression of the last Neanderthal was a form of critique of the voracious new predator (a different version of homo sapiens from himself, that was for sure) with whom he had been cohabiting on the Iberian peninsula, though not for much longer. How much time this new fellow spent mouthing those curious noises of his. Sometimes alone, all to himself. And how superbly he had started making those new weapons. THERE HAS BEEN much speculation about Wittgenstein’s beliefs, and in particular if they really took a religious form. We know that he abandoned any species of institutional belief in his early teens, and never subsequently expressed a wish to re-join a confessional community. We also know that he had the greatest respect for religion, in all its forms, and that he was preoccupied for the whole of his life with Christianity. At the end of the war, he always carried about his copy of Tolstoy’s Gospel in Brief, so much so that he was known to his fellow soldiers as either the Gospel Man or the Tolstoy Man. What Tolstoy had done in this book was to use his writer’s intelligence to work out what he believed to be the aspects of Jesus’s life that could be accepted by an intelligent believer. He cut out the miracles and the resurrection, and there was no mention of that divine origin which so preoccupies John at the beginning of his gospel. What we are presented with instead is probably the same Jesus that Matthew Arnold believed to be there at the beginning of the Christian tradition, before all the supernatural additions were provided, in order, he reckoned, to provide gewgaws and baubles for the credulous. Reasons to believe that were entirely contrary to reason. He believed that a fable in art, like a proposition in philosophy, could shape a valid truth into memorable expression. We also know that Wittgenstein greatly admired the late tales of Tolstoy, and for the same reason that he admired early Westerns: they both provided in compressed and lucid form fables by which we might try to understand our condition. He believed that a fable in art, like a proposition in philosophy, could shape a valid truth into memorable expression. He believed that philosophy, and any person with any philosophical integrity, should put its money where its mouth is, and not go about pretending to know what it does not (and cannot) in truth know. And so he was profoundly allergic to that breezy polysyllabic blather that sometimes passes for thought in the academy. or shell-shocked comrades while they sag and cry? This Fortnightly Review article is filed under the following rubrics: Notes & Comment, Principal Articles, Psychology, Philosophy & Education, The Fortnightly Review of Books. Publication: Wednesday, 7 September 2016, at 10:25. ‹ The weakness of secular belief.